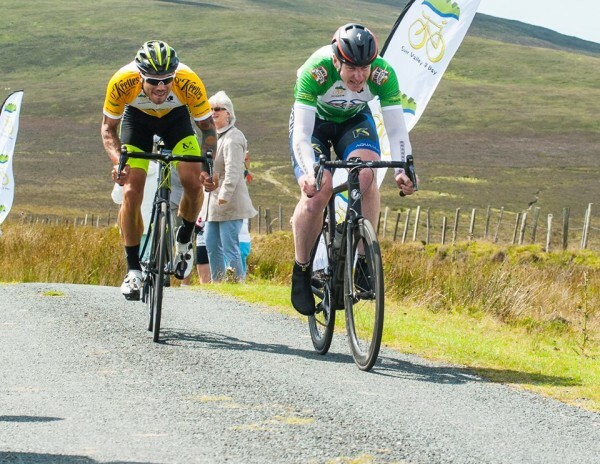 Mark Dowling has taken his second major stage race win of the season, this afternoon adding the final yellow jersey of the Suir Valley Three Day to the outright win he took at the Kerry Group Rás Mumhan in Kerry at the Easter weekend. 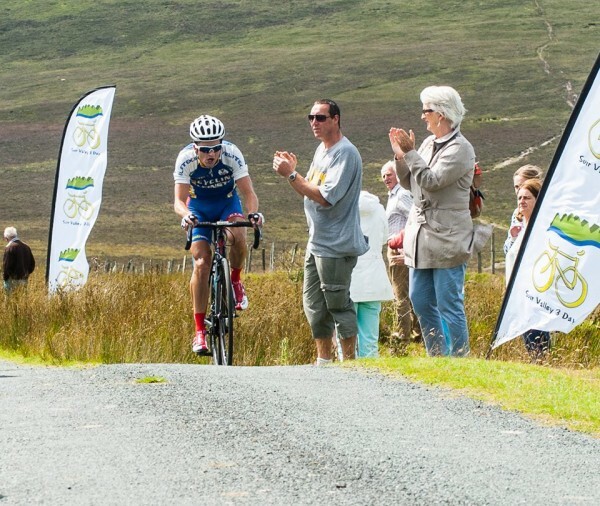 The DID Dunboyne man, riding for Cycling Leinster this weekend, charged up the final climb of the day to the finish line atop that ascent of The Nire cat 1 to take the stage win and the overall. He had begun the stage in third place overall, some seven seconds behind stage 1 winner and yellow jersey this morning Dillon Byrne of the visiting UK team Champion System-Maxgear. And Dowling was six seconds down this morning on Bryan McCrystal of Aquablue. Those three were the hot pre race favourites and did not disappoint on Saturday’s tough opening stage run off in horrendously wet conditions. There was then a gap of just six seconds back to Colm Cassidy of UCD, with team mate Eoin Morton a further 22 seconds back. And just three seconds elapsed before Javan Nulty (Cycling Leinster) and Paddy Clarke (Liquidworx-Fitscience) filled 6th and 7th on the opening stage; both 31 seconds down on the winner. There was then a big gap before the stage winner’s team mate Sebastian Baylis led home the group for 8th, some 1:05 down on the day. On the 92km stage 2 yesterday morning, three riders – Sean Hahessy (Carrick Wheelers), Ryan Sherlock (Top Team) and Jonathan Cregeen (Team Wallis Cycles) – broke away to take the podium places, in that order. However, their gap of 16 seconds to the bunch, led home by yellow jersey Byrne, saw no real change in the overall. And when comeback man Ken Tobin of Cycling Leinster took last night’s stage 3 criterium in great style from a bunch sprint; again the overall did not change. With things so tight at the top, especially between leader Byrne and then McCrystal and Dowling, The Nire summit finish was always going to be a huge factor. In the end, it was Dowling’s climbing prowess that the others simply had not answer for. He held back as fourth placed overall Cassidy went clear early today, only to be brought back by Byrne’s and McCrystal’s teams. And when the field hit the closing climb, Dowling was expertly paced by Cycling Leinster team mate James Davenport. Dowling then surged with around 2km to go to blow away the other contenders. The yellow jersey and McCrystal lost a minute, while up front Sherlock snatched second place from Davenport. This evening though it’s Dowling with the biggest smile as he once again goes home the victor.